What is the SRI Academy Program? 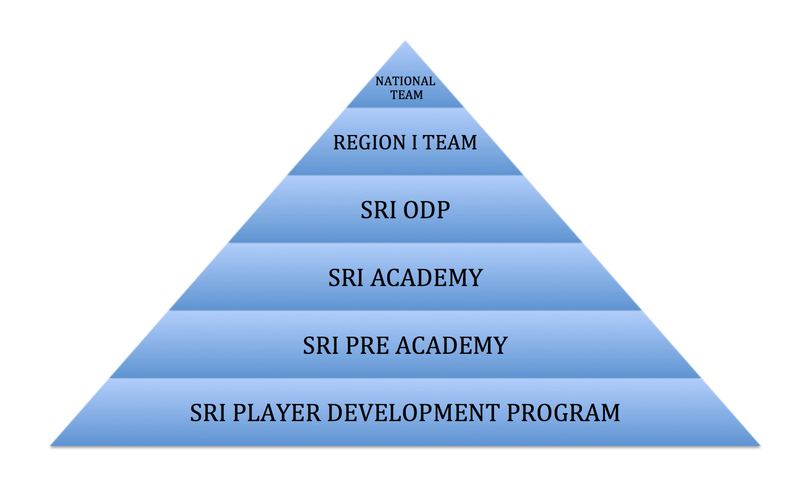 The SRI Academy was formed in Rhode Island as a supplemental training program aimed at developing the younger players (ages 8-12) within the state, while also serving as a pathway to the ODP program. SRI Academy provides high-level training that benefits and enhances the development of players at all levels; and, through the use of carefully selected and licensed coaches, develops a mechanism for the exchange of ideas and curriculum to improve all levels of coaching. The SRI Academy holds Initial Evaluations on an annual basis. Age Groups and evaluation dates are typically posted to the SRI Calendar 2-3 months in advance. Your first contact should be to your State Association for evaluation information. What are the Benefits of Participating in SRI Academy? 1. Development as a player. The opportunity to train and play in an environment that will push your skills to another level. 3. Exposure to regional and national team coaches. 4. The opportunity to represent one's state in competition.